When Spirits Fly ... Again isn’t a new recording, but it is well worth giving it another look - or a first look if, like me, you missed it the first time around. 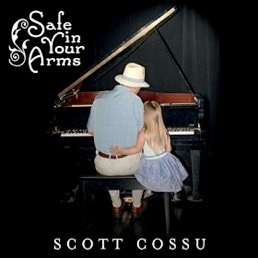 Scott Cossu was one of the first artists signed to the legendary Windham Hill label and continues to be one of the most respected names in contemporary music. Cossu was at the top of his game and on the verge of a 40-city world tour in 1989 when he was hit by a car while crossing a street in Los Angeles. A serious brain injury meant months in the hospital and having to learn to do almost everything - including walking and playing the piano - all over again. When Spirits Fly ... Again is “an expression of the joy I feel for life, a gift I cherish deeply with each new day. It is a feeling that allows my spirit to soar... to rare and wonderful places.” With this music, Cossu allows us to travel with him to those special places and experience them for ourselves. An incredibly versatile musician and composer with a graduate degree in Ethnomusicology, Cossu brings a wealth of experience to his music and creates a sound all his own. He is usually considered “new age,” but there are very strong jazz, classical, blues, and world elements in his music. 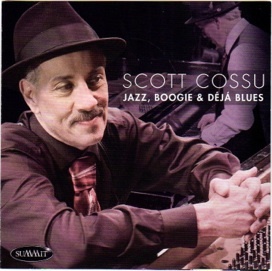 Cossu performs on piano and keyboards, and is joined by Van Manakas on guitars, Tom Canning on keyboards and programming, Justo Amario on sax, Jaime Siebert on cello, Scott Vomvolakis and Geoffrey Gordon on drums and percussion, and Willie Royal on violin. When Spirits Fly ... Again begins with “Silver Water Wheel,” a piece that is both soothing and sparkling. The flowing piano and crisp guitar work create a beautiful counterpoint that sets the tone of the album. Cossu and company give “Soaring” the feeling of floating on breeze-driven cloud - lots of movement but still very relaxing. “Sakura” turns up the intensity a bit with a driving beat behind some beautiful guitar and piano playing. I really like this one! The title track begins with a one-minute prelude that includes piano, guitar, keyboard washes, and nature sounds. The song itself is a Cossu classic - energetic, optimistic, and compelling - with some fantastic violin playing by Willie Royal. “A Lullaby For Anthony” is a sweet and tender love song, and the piano and cello flow together so elegantly. “Vina Del Mar” is my favorite track. The driving rhythm and unfettered sense of fun are positively infectious. I love it!!! “Kalani Honua” is a graceful Hawaiian Wedding song performed with piano and strings - gorgeous! “Hakone” exudes warmth and contentment with a lively but easy-going tempo and catchy rhythm. “Calabria” is listed as a “bonus track” and is another favorite. Fast, playful, and full of fun, it finishes this great album with a big smile and both feet tapping (or dancing for joy!). 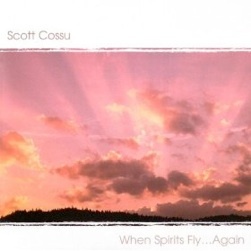 When Spirits Fly ... Again should leave no doubt in anyone’s mind that Scott Cossu is back on top of his game and better than ever! 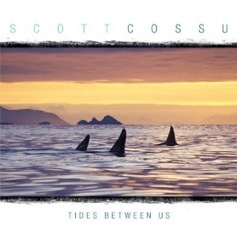 This album is available from www.scottcossu.com, Amazon, and iTunes. Very highly recommended!